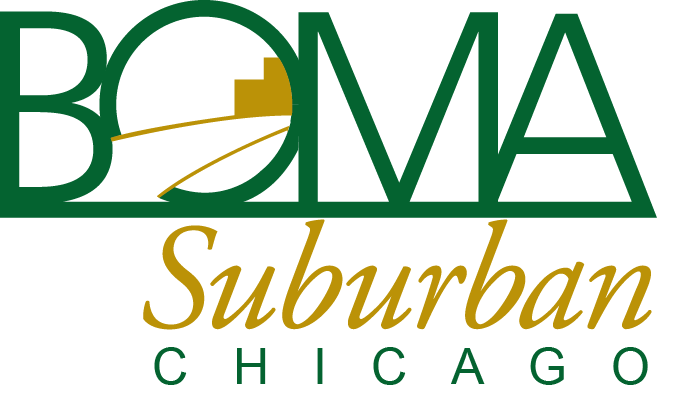 Throughout the year, BOMA/Suburban Chicago offers its members many different networking and educational opportunities. We offer several Signature events, or premier events, that are recurring due to their success, and we offer Specialty events, which are one-time events offered based on a specific need or trend. We have several signature events that take place on a regular basis, either annually or bi-monthly. Our members have come to anticipate and rely on the dynamic and superior speakers they can find at our lunches, and look forward to the fun and engaging games and activities offered at our networking events. View our Events Calendar to see our upcoming events. Our Members Lunches are a complimentary benefit of membership. They are offered on the third Thursday of every odd month from 11:30 a.m. to 1:30 p.m. At least 100 members attend this bi-monthly event to hear engaging speakers and to network with other BOMA members. Members can attend at no cost. Guests of members can attend for a fee. The annual Charity Bowling Event typically takes place at the end of January or the beginning of February. This event supports the selected BOMA charity for that year. A portion of ticket sales go to the charity and donations are collected onsite. In addition to bowling two games, attendees enjoy networking, snacks, prizes, contests, and a pizza party. Our EXPO is the real estate networking event of the year! With over 87 exhibitors, tons of networking opportunities, a keynote lunch exclusively for property professionals, refreshments, entertainment, prizes, and fun themes, our tradeshow is a can’t-miss event! All types of property professionals from commercial properties, office buildings, industrial facilities, medical office buildings, office condominiums, mixed use developments, retail properties, corporate facilities, and government buildings attend our show. The EXPO takes place annually at the end of February or early March at Drury Lane in Oakbrook Terrace. Our annual Golf Outing is offered in late May or early June and is one of BOMA’s hottest events. Regular and Associate members eagerly await their invitations every year for this much-anticipated event. Attendees will golf nine holes on one of Cantigny’s beautiful courses while enjoying amenities, prizes, contests, as well as a networking buffet lunch and an awards reception with buffet dinner. Serious golfers have the option to add a morning of golf to make it a full 18 holes. Non-golfers may sign up to attend just the lunch, the dinner, or both. Our annual Day at the Races takes place in August at the Arlington International Racecourse in Arlington Heights. Rain or shine, our festivities take place inside the International Room of the stadium with a great view overlooking the track. Attendees enjoy the perfect opportunity to network while watching live horse racing. In addition, there are many prizes and contests, including the annual hat contest. The Engineers Lunches are educational events that take place on the first Wednesday of every even month from 11:30 a.m. to 1:30 p.m. These lunches are specifically tailored to BOMA Building Engineers and cover topics that can ensure Engineers are prepared to effectively manage their buildings. Property Managers are encouraged to send their Engineers to these lunches. A building tour typically follows the presentation. Property Assistant Lunches are specifically geared toward Property Assistants and positions of a similar nature. These lunches are educational events that take place on the last Wednesday of every even month from noon to 1:00 p.m. Employees within a property management team working for a Property Manager could benefit from these lunches. Property Managers are encouraged to send their Property Assistants to these lunches. In addition to our Signature events, we also offer other events throughout the year on many different topics. Our committees work hard to identify trends and industry related content to keep members informed. As information and trends develop, our committees bring different events to you. Check our Events Calendar to see our upcoming events.